Infant Sleepwear. 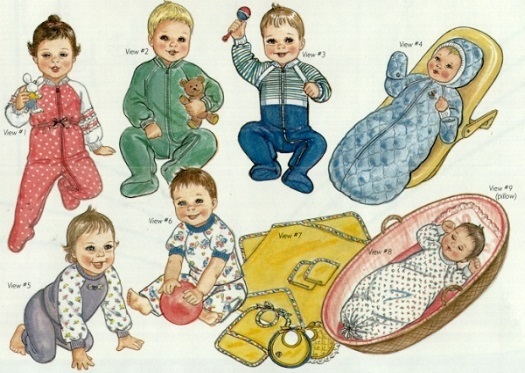 Complete patterns and instructions for 7 Sleep Outfits, plus Bath & Bib Set. Sizes Preemie (under 6 lbs) thru 12 months (up to 24 lbs). This pattern is designed mainly for stretch knit fabrics.